Eric Garner, 43, was killed Thursday by Officer Daniel Pantaleo who placed him in an illegal chokehold. Director Spike Lee has drawn a comparison between Eric Garner’s death and Radio Raheem’s death in “Do The Right Thing.” While watching the video, one can see the striking similarities and only think that his death was senseless. In the video it appears that Eric Garner was minding his business and you can hear in the Garner shouting, “I can’t breathe! 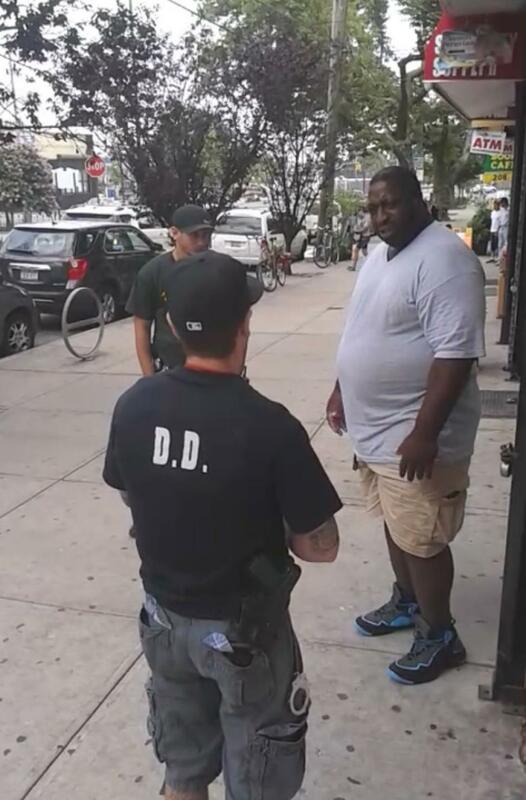 I can’t breathe!” The partial video footage obtained by the New York Daily News shows the 6-foot-3, 350 pound Garner asking the police to leave him alone in the original video which can be viewed here! Garner who had been arrested for selling cigarettes before told the officers that he had done nothing wrong. “Every time you see me, you want to mess with me. I’m tired of it. It stops today,” Garners says. “I’m minding my business. Please just leave me alone.” The officers proceeded to cuff him which lead to his death. One can also hear someone saying in the video that Garner had just came back from breaking up a fight.